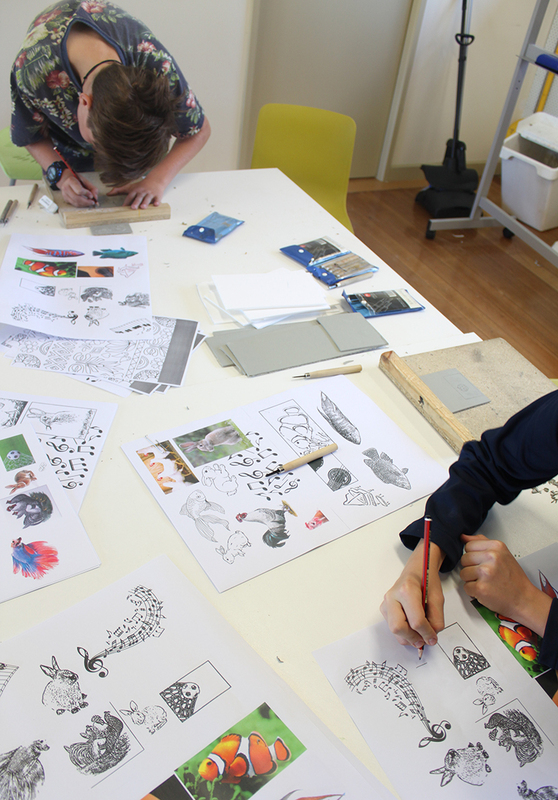 This printing workshop is a great opportunity to have your students explore the power of printmaking with my guidance and tuition stemming from 10 years of teaching experience. Suitable for beginners with no printing experience necessary. 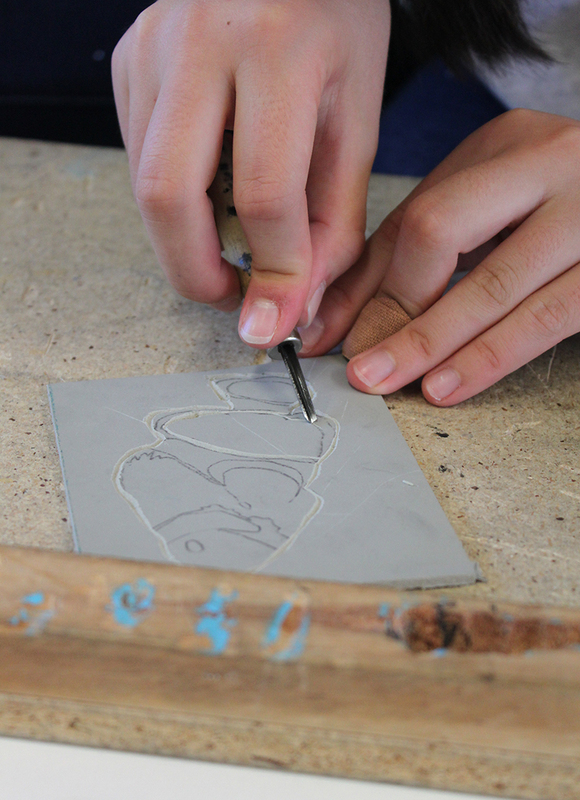 Workshop will be adapted to suit any year level from Year 7 through to Year 12. A design is cut into the linoleum surface with a cutting tools, with the raised (uncarved) areas representing a reversal (mirror image) of the parts to show printed. 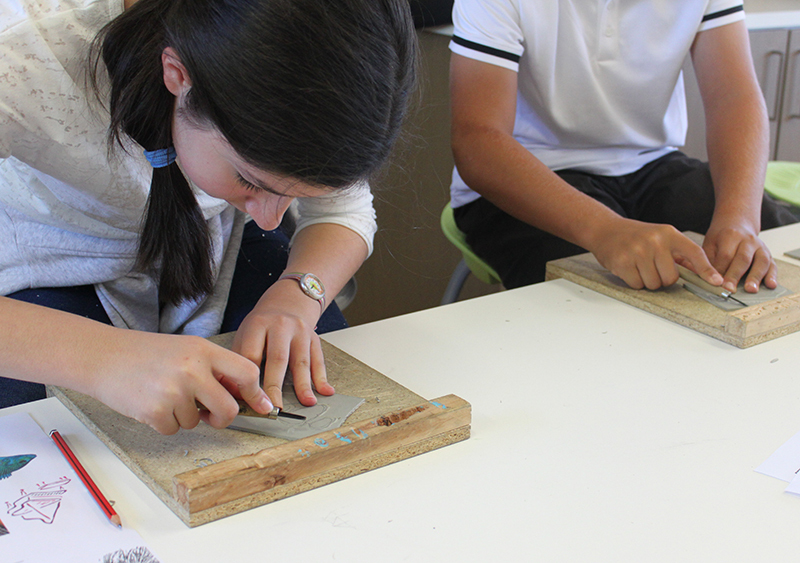 The linoleum sheet is inked with a roller, and then impressed onto paper or fabric. 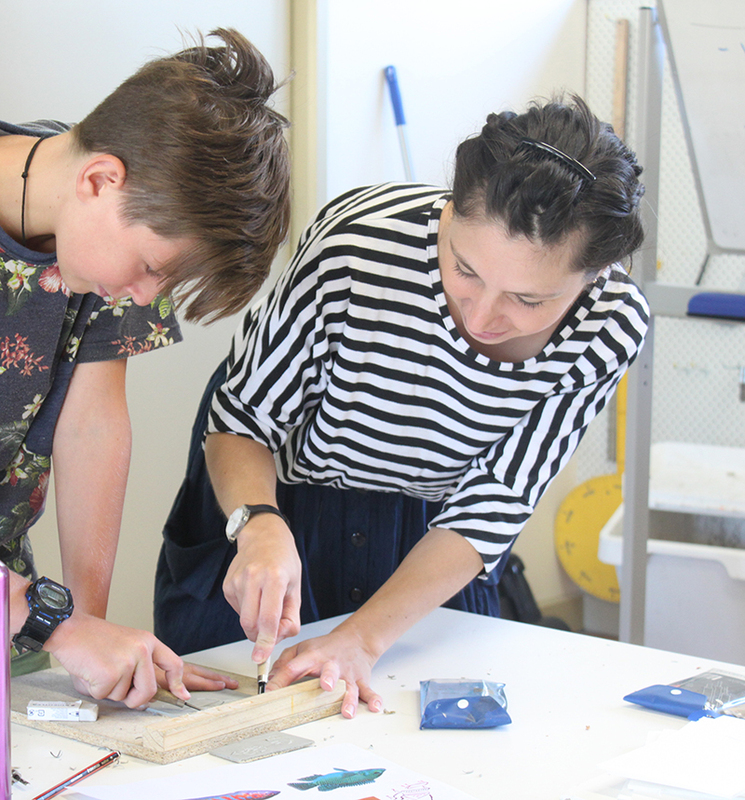 Participants will develop the skills to use cutting tools effectively and safely, applying block printing ink techniques and printing a small edition of their design. 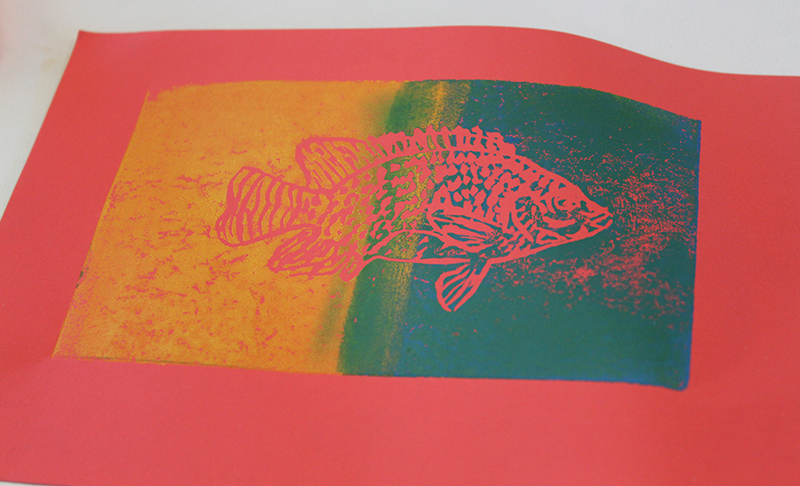 Known as the most painterly method among the printmaking techniques, a monoprint is essentially a printed painting. The characteristic of this method is that no two prints are alike. 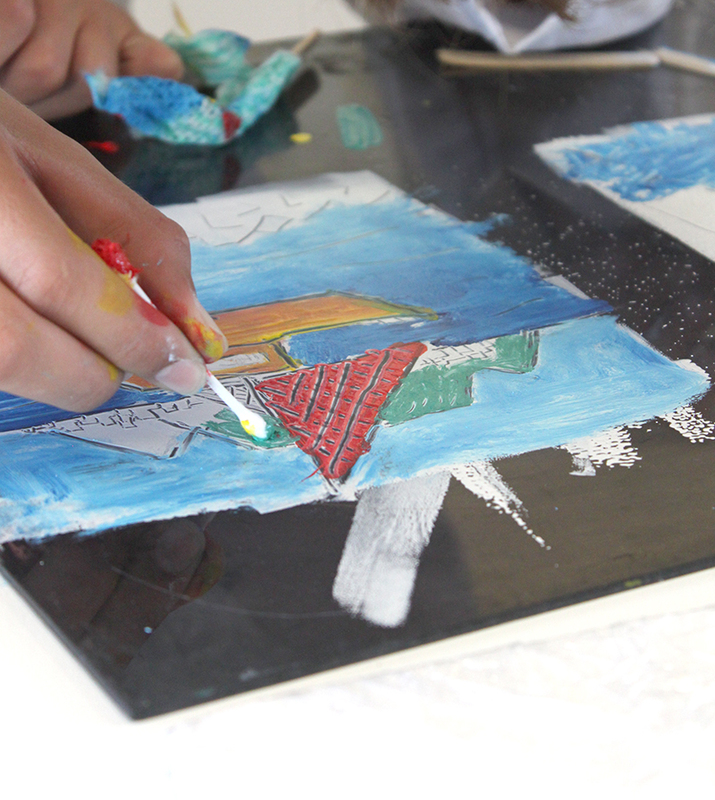 Many enjoy the painterly freedom of this technique and are impressed when their print is revealed on paper. 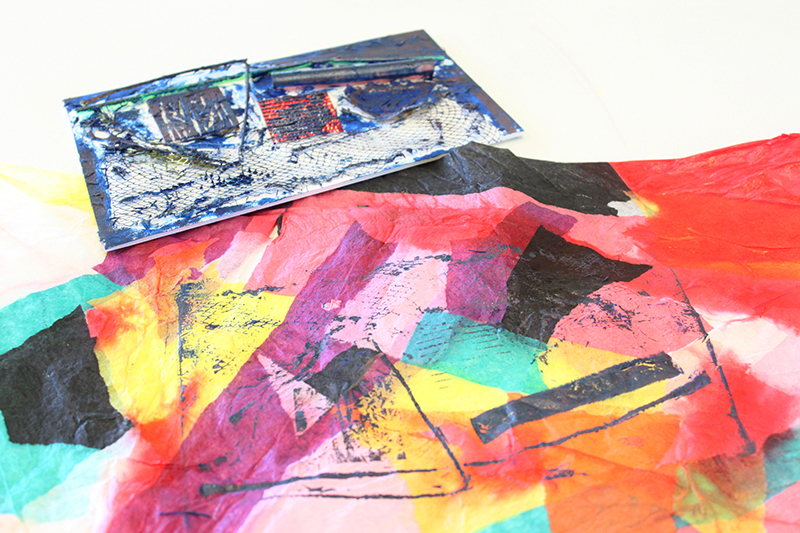 Participants will develop the skills in using block printing ink to paint a design with different implements including brushes, cotton tips, sponges and fingers! 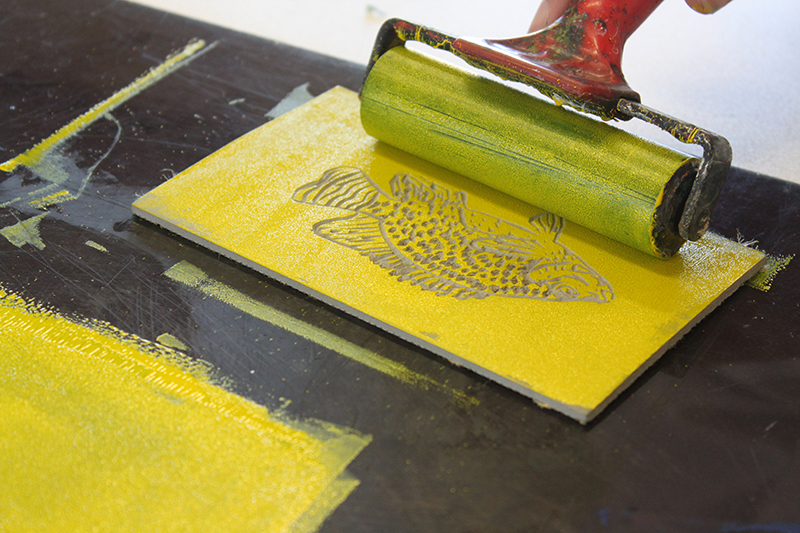 Following the same principle as Linoprinting, printing foam is a safe and quick way of making a relief print. 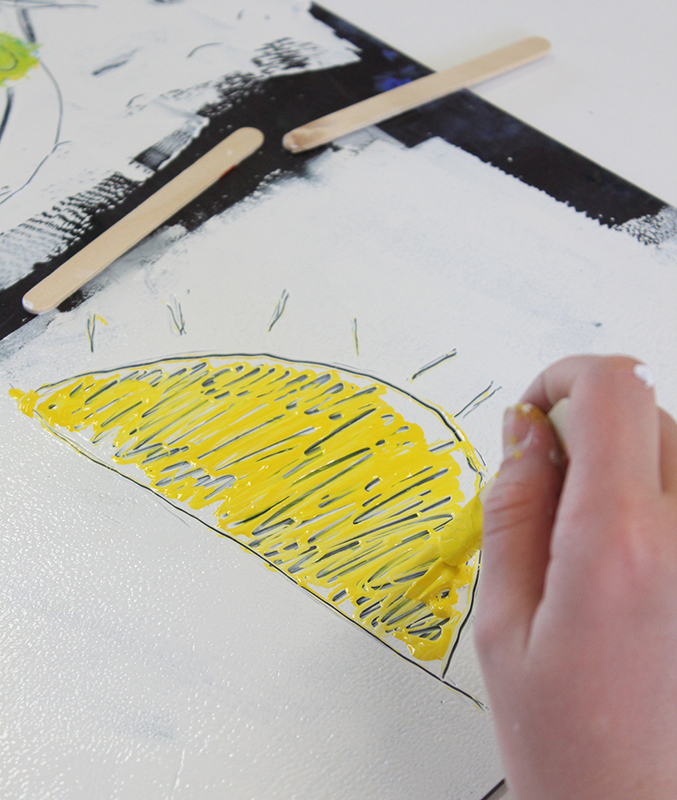 Participants will experience the simplicity of this method by using blunt instruments such as pens, pencils to create their designs on a square of printing foam. 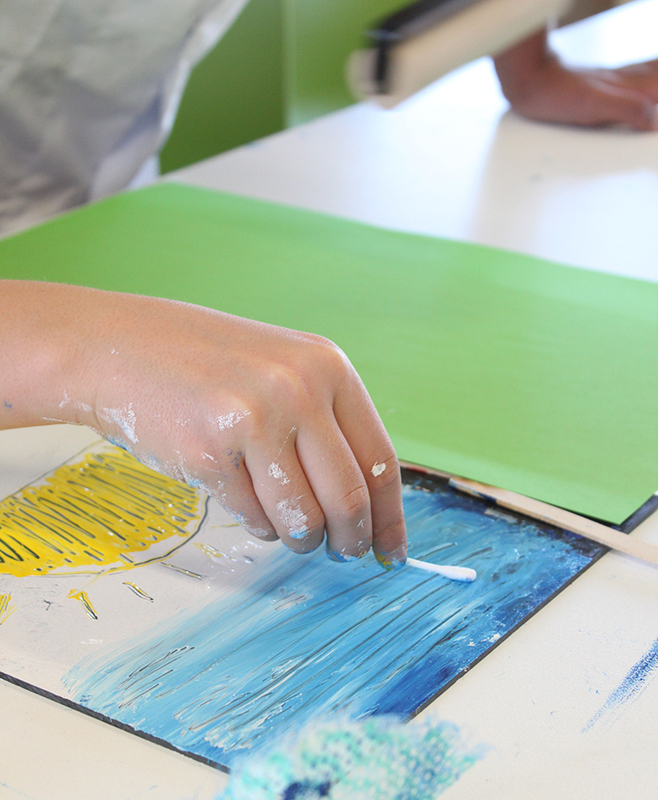 They will also experiment with blending ink colours. Collagraphy is simply making a print of a collage. 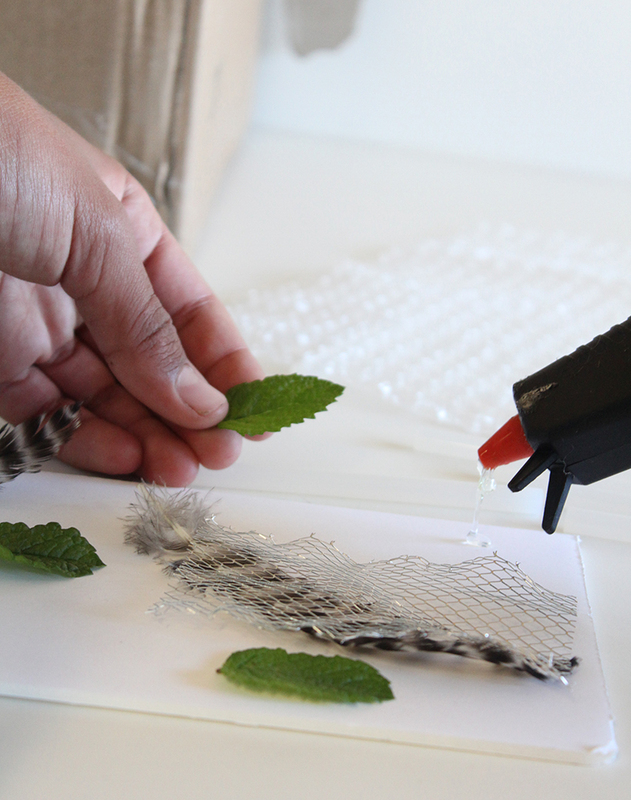 This process is relatively simple and can be enjoyed by virtually every age group. 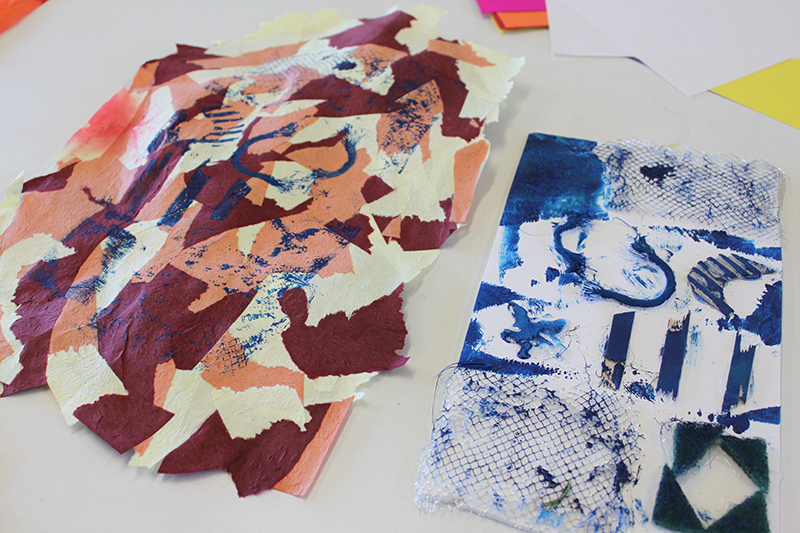 Participants will develop skills in creating 3-dimensional collages by cutting, shaping and sticking recycled materials. Effective ink application and printing techniques will be covered. 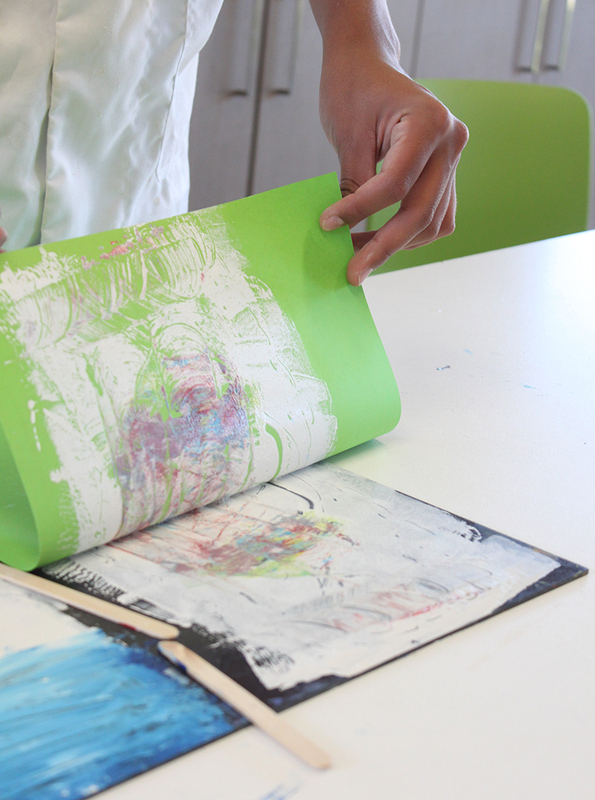 An impressive aspect of Collagraphy is both the printing boards and prints themselves can be works of art! 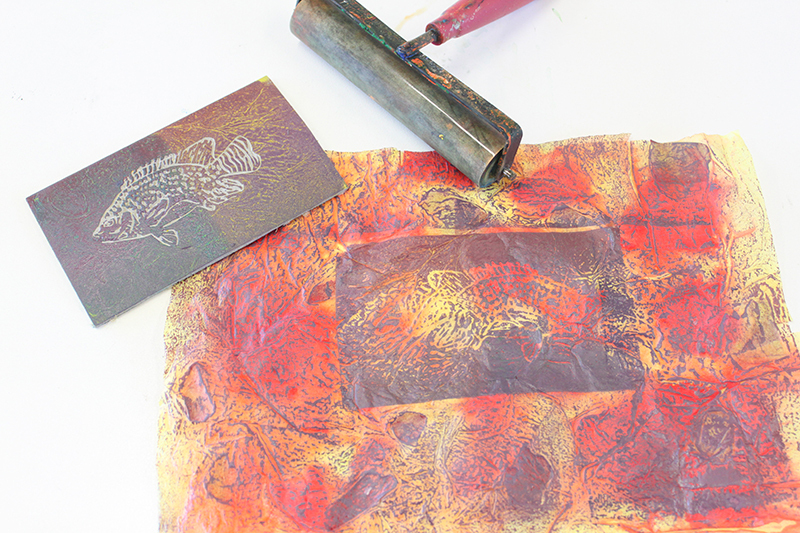 This workshop is based on Relief printing. A printing press would be ideal, but is not necessary. 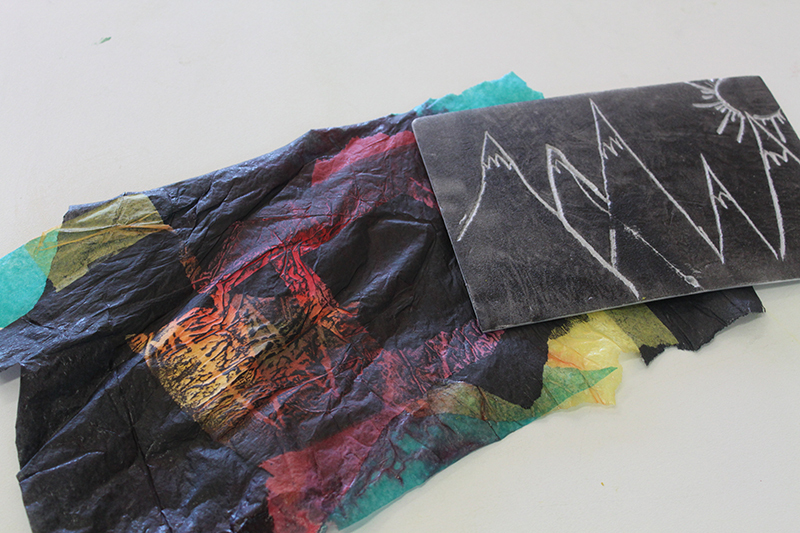 If you would like me to cover Intaglio printing, a printing press would need to be available. 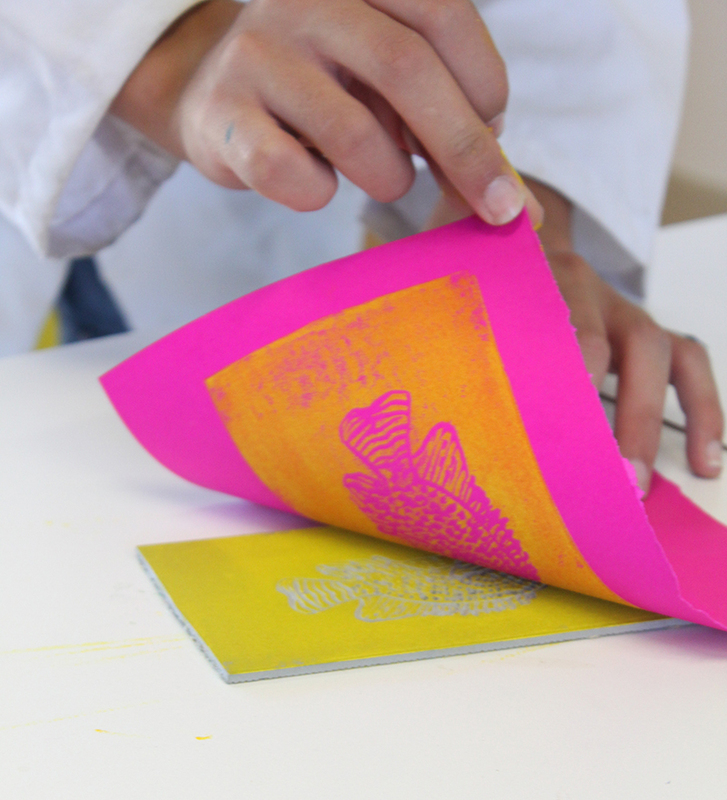 Only 2 printing methods listed can be covered in the half-day workshop. All materials and equipment is supplied within the workshop cost. I’m a teacher, so I love questions! Please feel free to contact me via the form above with your enquiry. 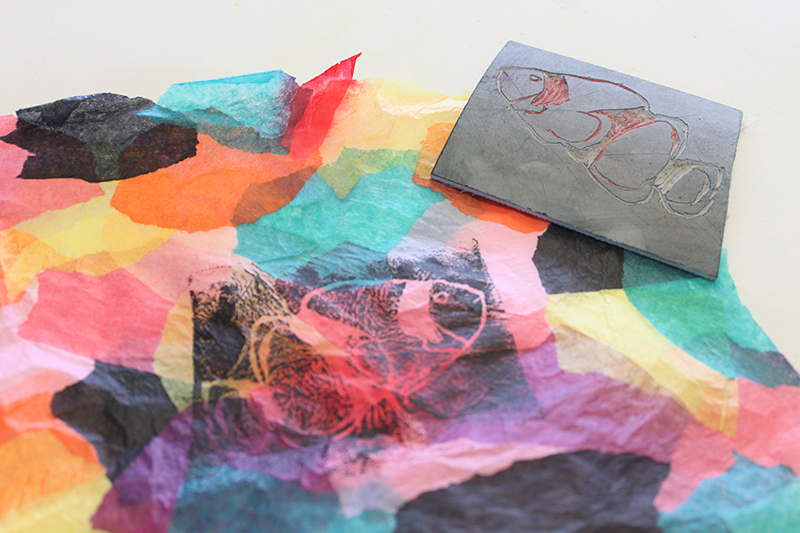 Looking forward to sharing the world of printmaking with your students!